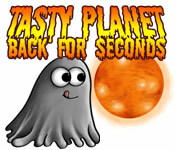 Tasty Planet: Back for Seconds is rated 4.7 out of 5 by 29. Rated 5 out of 5 by Luigifan27 from Wish you still have the first one Big Fish. I wish BF still have the fun old games but still an amazing game. Pros:Fun and exellent Funny storyline Gray goo (you) travels in time inculding Dinosaur, Eygpt, rome, china, and the future OK:Motion sickness Cons:Two player mode its impossble to play with two in the computer! The level cow crossing it was impossble to compolte in timed mode so I play casual Play this game please and bring back the first! Rated 5 out of 5 by Juno_Ceres from Katamari, is that you?!?! My old friend, how I've missed you!!! 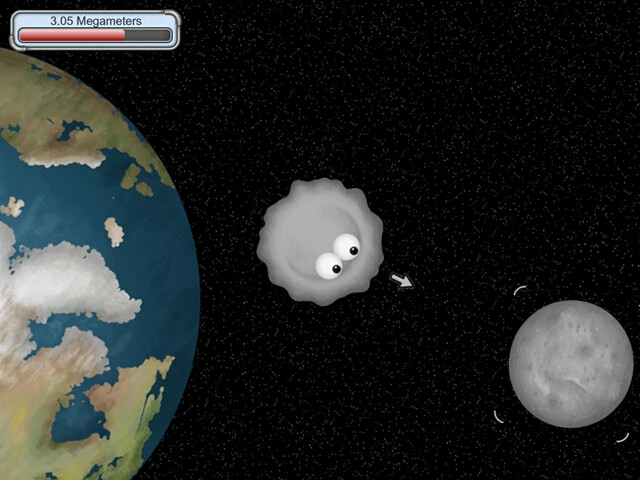 Seriously, if this wasn't made by the creators of Katamari, then I'll eat my laptop. For those who had a deprived childhood, Katamari is an old Playstation 2 game that the entire point was to 'roll up' everything possible in a giant sticky ball. And when I say 'roll up everything', I mean EVERYTHING. Batteries, paperclips, toys, plants, cats, people, vehicles, buildings, and even pieces of continents once you get to the last level. And this game does the same thing. 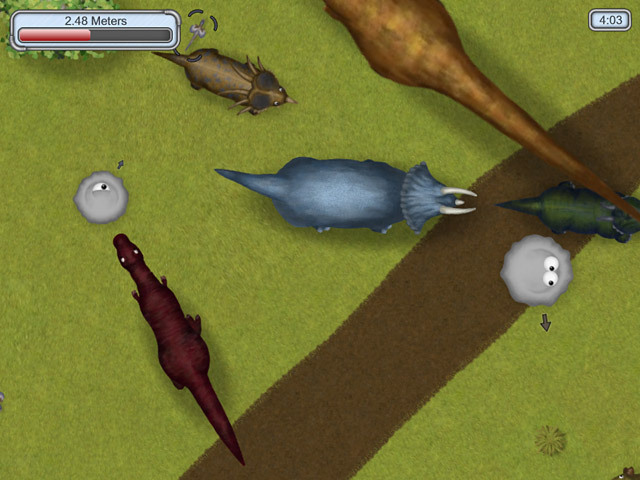 There are a few differences - living creatures don't run from you in this game. Or attack, if they're sentient enough. Nor does it have the extremely Japanese undertones Katamari proudly splashes throughout every level. This game is not 3-D, like Katamari, which is actually a good thing - you don't get stuck and spend precious seconds trying to see so you can get out. And it's a LOT harder to get lost in this game. The plot is nearly non-existent, another improvement over Katamari (really, the characters were INCREDIBLY annoying in Katamari), but it really doesn't need a plot. Blob is hungry, blob gets bigger. YAY! This game in addicting! And it's not so easy that you breeze through it - you can pass most of the levels easily enough, but getting those shiny medals takes some work. 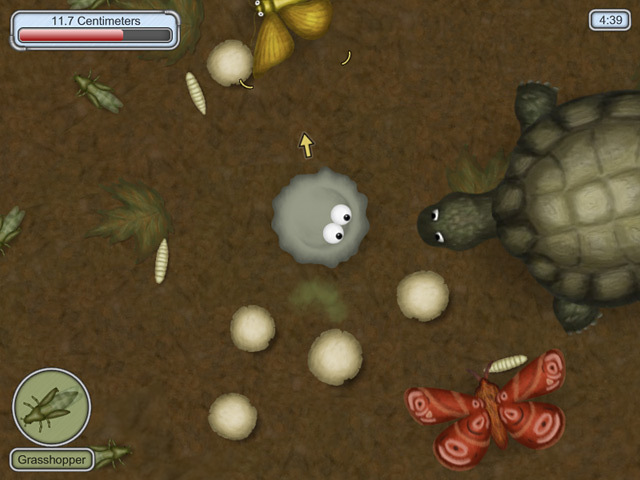 Gameplay is simple enough - find things that are smaller than you and 'roll them up'. The more you get, the bigger you get, and the cooler stuff you can 'roll up'. Rinse and repeat. Graphics are decent for a Big Fish game - and they're much better than the Katamari I used to play. The controls are fairly smooth, though the screen-size jump once you reach a certain size is a little disorienting. I do have an issue with the music - which is the reason I'm VERY certain about the Katamari connection. My LEAST favourite song from that game is also in this game. One can only hear the lounge-singer voice going "Bah bah buh badababa bah buh bah" so many times before wanting to strangle whoever recorded that track. Luckily, you can turn the sound down in this game without it effecting game play (again, something you couldn't do in Katamari, as certain background noises kept you warned about things behind you). Only thing I actually don't like is the apparent inability to restart the level partway through. There are times where you know for a fact that you won't reach that elusive gold halfway through the level, and you have to play through it. All in all, I'm in love. If you've played Katamari, you will be, too. If you haven't played Katamari, you're in for an extremely addicting treat. It's a simple game, no complicated mechanics, just 'roll up' fun! Oh, yes, I've missed this! Rated 5 out of 5 by Gamevirgin from Insanely Fun!! Played the entire game and basically erased the Big Bang! You eat up everything in existence as you get bigger, the multiverse, solar system, black holes, everything until you, one infinitely enormous goo gone wrong, are the only thing left!! The scientist's greatest achievement and the death of him. Amazing storyline. The game itself is so funny too. I loved eating cats and humans, lol. It was so funny watching them run away, screaming. Rated 5 out of 5 by Talidog from There went my afternoon I saw this game and didn't know what to think. I did see the ratings and read the reviews. I started with the free trial and that was that. I was sucked in. I did as another reviewer said....blew my Sunday afternoon on this game and I can't wait to play it again. Can I tell you what it's about? Not really. I just know that a blob is eating lots of stuff and you don't want to hit anything bigger than you or you get smaller and it is a ton of fun!! Go for the trial and I bet you end up buying! Rated 5 out of 5 by jivins11 from Silly fun game for kids! My kids love this game. It's a bit odd, but it's fun. :) Good game to practice using the mouse with. Rated 5 out of 5 by VOLCANOGIRL from The great big blob Eat as much as you can to complete the level.This is a no thinking game.I think everyone should do a 5 star on this one.This is a buy for me. Rated 5 out of 5 by Moonblaze90 from Tasty Planet game It's incredible. I have played this 1000 times and reccomend it to everyone, its a fun game, a really fun game! My most favorite part is the dinosaur scene, it really creative. I hope everyone else enjoys it as much as me!